The changes made in BS 8485:2015 & the recommendations advised in CIRIA 735 were radical in their nature and came from the need to update previous standards to ensure safety & a better quality of life for the inhabitants of new constructions. GeoShield are members of the CPD Service and are focused on improving the construction industries knowledge in the use of the many & varied ground gas protection systems available and the associated validation & verification programs now often mandatory. 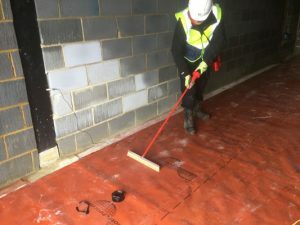 The GeoShield team understand how important it is for Construction Professionals, Architects, Engineers & Building Owners to be made aware of the expectations & insistences of the Local Authorities and the Environment Agency with regards to the protection against ingress of hazardous ground gases into new structures. Professionals need to be cognisant of the most recent British Standards, how these Standards and the CIRIA recommendations work in conjunction and how the catastrophic results may be for noncompliance. Ground Gas – what is the concern?